Sycamore Row is wonderful!! 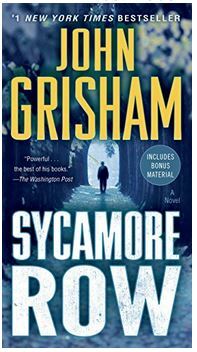 Please, Mr. Grisham, write more Jake Brigance! How terrific to be back in the world of the fiery Jake Brigance. On the basis of his work three years earlier in “A Time to Kill,” Jake is selected as executor of what is sure to be a controversial will that once again puts him in the middle of a racially charged environment. The plot is tight and fast; the characters are beautifully written in many shades of good and bad; the topic is one that is an important part of our history. Very satisfying, read! How long must we wait for Jake Brigance #3?